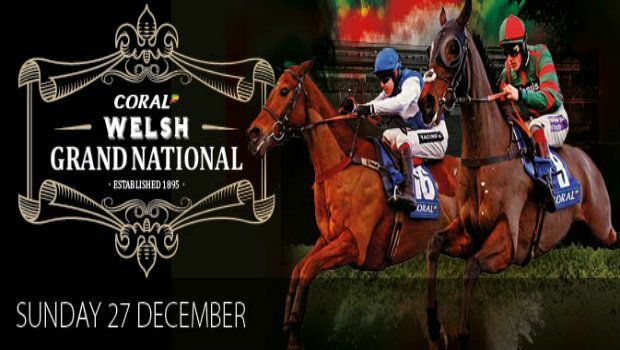 For horse racing fans, the Welsh Grand National 2015 on 27th December is as much a part of the festive period as presents and carols. The highlight of both the Chepstow and the Welsh racing calendar, the prize money for this year's race has been increased to £120,000. The Welsh Grand National is often seen as an indicator for the Grand National and Cheltenham Gold Cup in the spring, with many legendary horses, jockeys and trainers among the list of previous winners. The betting market is traditionally quite open as it's a handicap race that takes place early on in the season, and that's certainly the case this year, with no standout favourite among the 72 entries. Event sponsor Coral and it's bookmaker, Coral Sports, currently has six horses at 10-1, with the other bookies also struggling to predict a winner. Among the favourites is Midnight Prayer, the ten-year-old trained by 2006 winner Alan King, who also has another horse (Sego Success) taking part. Midnight Prayer had wins at both Cheltenham and Warwick in 2014, as well as a fourth place at Newbury last month, but the Welsh Grand National hasn't been won by a horse over the age of eight since 2003. He is currently priced at 10/1 with Ladbrokes Sports. Following his victory in the Murphy Group Handicap Chase at Cheltenham in November, Sausalito Sunrise has put himself among the favourites here. The seven-year-old has had two wins at Chepstow before in his career and is ridden this time by 1999 winning jockey Richard Johnson. At 12/1 with Ladbrokes Sports, he is certainly a strong candidate. Trainer Jonjo O'Neill has been a winner here twice before, and he is in contention again this year with seven-year-old Upswing. He has finished in the top two in four of his last five outings, including a win at Worcester in October. Upswing is 10/1 across the board other than Betway Sports, who have him as favourite at 9/1. The youngest of the favourites is six-year-old Cogry, trained by Nigel Twiston-Davies who was a winner at Chepstow in 1997 and 2003. Cogry won the Novices' Limited Handicap Chase at this meeting last year, but whether he can do it in the main event remains to be seen. The youngster is 10-1 across the board. Also at 10/1 with Coral Sports, although not so favoured elsewhere, is Shotgun Paddy. However, the eight-year-old pulled up before the seventh hurdle in this event last year and is not in great form. The Emma Lavelle- trained horse is 14/1 with Bet365 Sports. The last of Coral Sports' six joint favourites is Carole's Destrier, after his win in the Betfair London National Handicap Chase at Sandown earlier this month. The seven-year-old also tasted success at Wetherby and Ascot earlier on in the year, so is certainly in good form. Trained by Neil Mulholland, Carole's Destrier is 14/1 with Betfred Sports. 2014 winning trainer Venetia Williams has five entries in this year's event, with her winning horse from last year, Emperor's Choice, the most fancied of them. The eight-year-old hasn't raced much this year, although he did win at Haydock in November. No horse has won the Welsh Grand National in successive years since Bonanza Boy in 1989, and Emperor's Choice is 14/1 with Ladbrokes Sports to achieve that feat. As for the rest of the pack, 2013 winner Mountainous is 14/1 with 888 Sports, while Kaki De La Pree is in decent form and priced at 12/1 with Coral Sports. The betting market suggests that this year's Welsh Grand National is set to be another tight and unpredictable race – we might even see a repeat of last year's dramatic finish. If you fancy a flutter on the biggest horse race in the Welsh sporting calendar, head to Coral Sports today to check out the latest odds.